Fred Hoiberg had a lot of work to do to field a team when he first took over at Iowa State, but that first year laid the foundation for the four NCAA Tournament runs that followed. 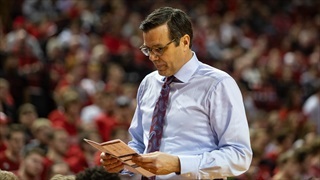 Now Hoiberg will look to do the same thing at Nebraska. 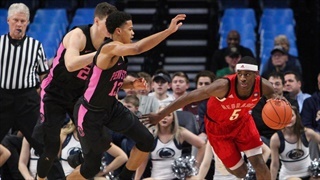 After meeting with new coach Fred Hoiberg on Tuesday, sophomore guard Thomas Allen jr. announced that he intends to keep his name in the NCAA Transfer Portal and will transfer to another school. 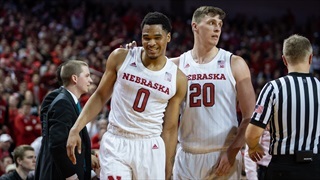 Nebraska will look to carry its new-found confidence on the road on Sunday as the Huskers look to extend their season in the second round of the NIT against top-seeded TCU. 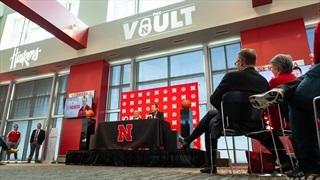 After taking the weekend off as they awaited their postseason fate, the Huskers are back at work preparing for the NIT as 4-seed Nebraska will host No. 5 Butler on Wednesday night. The Huskers are embracing the "next man up" mentality as they prepare for the Big Ten tournament with just eight available players. Nebraska showed some life in the second half against No. 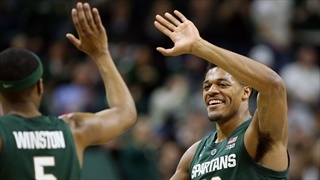 9 Michigan State on Tuesday night but it wasn’t enough to overcome an 18-point halftime deficit as the Spartans weathered Nebraska’s run and pulled away for a 91-76 win at the Breslin Center. It's Friday, which means there's plenty to love and to hate with Nebraska basketball. Well, mostly hate. Let's get to it. 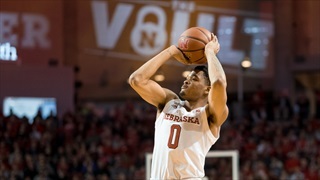 Nebraska’s season continued to go even further off the rails on Thursday night as the Huskers got blown out on the road against the No. 9 Michigan Wolverines, 82-53. Nebraska made it a 40-minute fight against No. 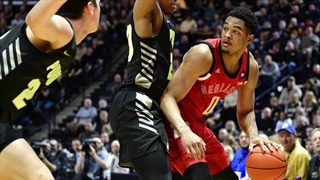 15 Purdue on Saturday afternoon but the Huskers couldn’t finish the deal as the Boilermakers rode a dominant second-half rebounding performance to a 75-72 win at Pinnacle Bank Arena. Run It Back: What Even Was That for Nebraska? Nebraska fell flat on its face in a must-win game at Penn State on Tuesday night, which raises some disturbing questions about the state of the team. 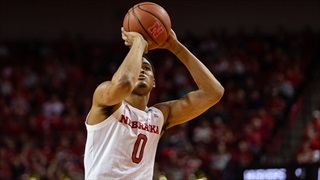 Nebraska dropped its fifth straight game in State College on Tuesday night as Penn State blew out Nebraska 95-71. 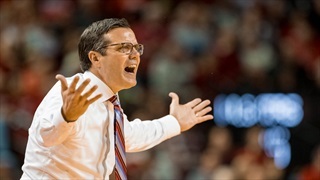 The Huskers, in front of an 80 percent empty arena in State College, Pennsylvania, lost their 12th game of the season Tuesday night to Penn State, 95-71. 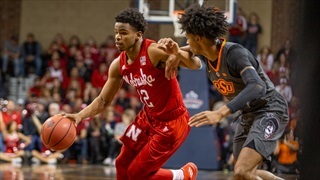 Northwestern hung around all game long at Pinnacle Bank Arena on Saturday night until an 11-0 run late allowed the Huskers to take control and pull away for their second straight win. 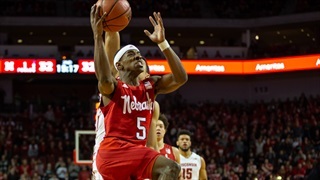 In a game only a mother could love, Nebraska pulled out a a 59-50 win over Northwestern at Pinnacle Bank Arena on Saturday night despite shooting 32.8 percent from the field. 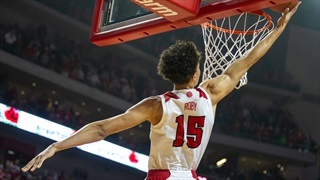 For the first time in nearly a month, the Cornhuskers got to celebrate a win as Nebraska pulled off a last-second 62-61 win over Minnesota on Wednesday, snapping a seven-game losing streak. 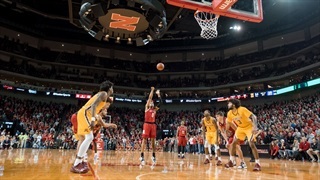 The Huskers (14-11, 4-10 Big Ten) won for the first time in exactly 30 days Wednesday night with a 62-61 win at the buzzer to down Minnesota (16-9, 6-8 Big Ten). The season rolls on for Nebraska as the Huskers will look to end their losing streak at home against Minnesota on Wednesday. 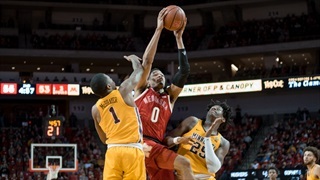 Nebraska showed some fight early but ran out of gas en route to its seventh straight loss, falling 81-62 at No. 15 Purdue on Saturday night. 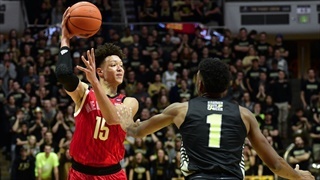 The Huskers entered Mackey Arena Saturday night with an upset on their mind and to start it looked like they might have a chance. But No. 15 Purdue just had too much firepower and it buried the Huskers, 81-62. 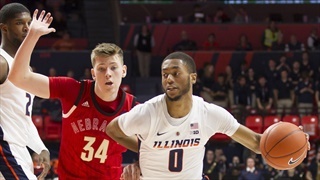 Nebraska’s struggles continued on Saturday as the Huskers dropped their fifth straight game, falling at Illinois 71-64. 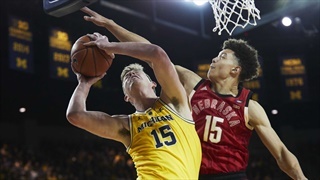 The Huskers (3-9, 3-8 Big Ten) failed to crack 40 percent from the field for the fourth time in their last five games, finishing at 38.5 percent, and they shot 3-of-23 from deep.